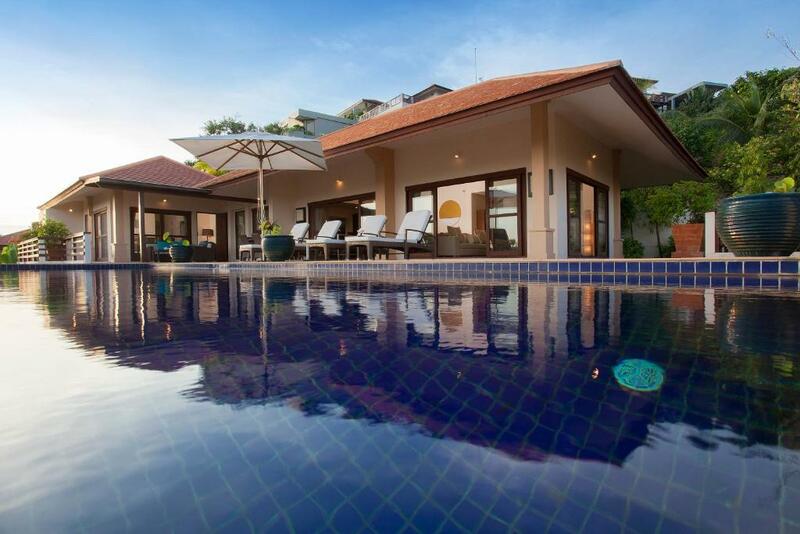 Located on a hill overlooking Choeng Mon Beach, Cape Summitra Villa is a stunning 5-bedroom villa with a private pool. 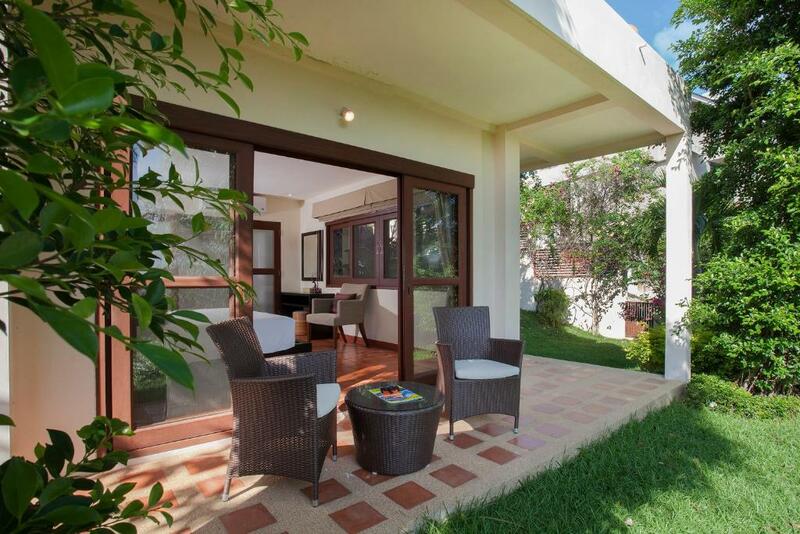 With sweeping views of the surrounding hills and sea, this modern villa has a garden and a terrace. Free parking is available. The villa's open plan living space features plenty of seating and lounging areas, as well as an indoor and outdoor dining table. 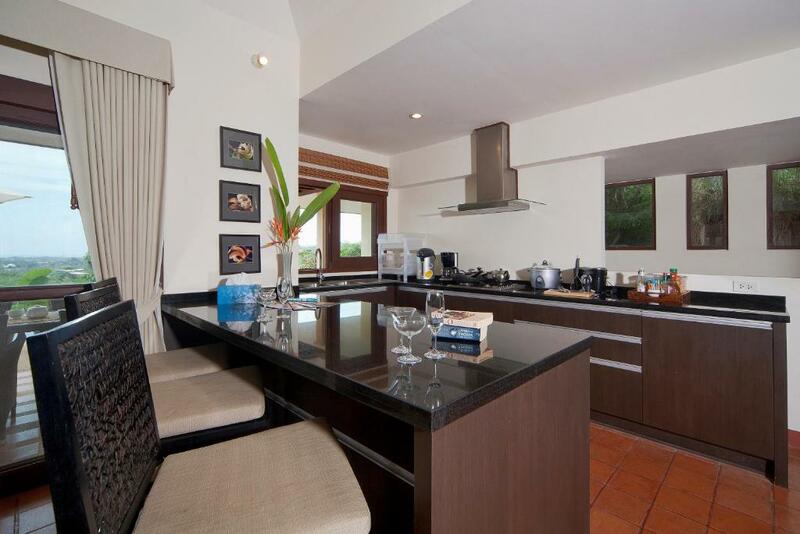 The fully-equipped kitchen includes an oven, stovetop and kitchenware. Extra facilities include a washing machine and a flat-screen TV. The private bathrooms have a shower and some also come with a bathtub. Cape Summitra Villa is 3 mi from Fisherman Village and 1.2 mi from Bang Rak Pier. Samui Airport is located 1.9 mi away. When would you like to stay at Cape Summitra Villa? 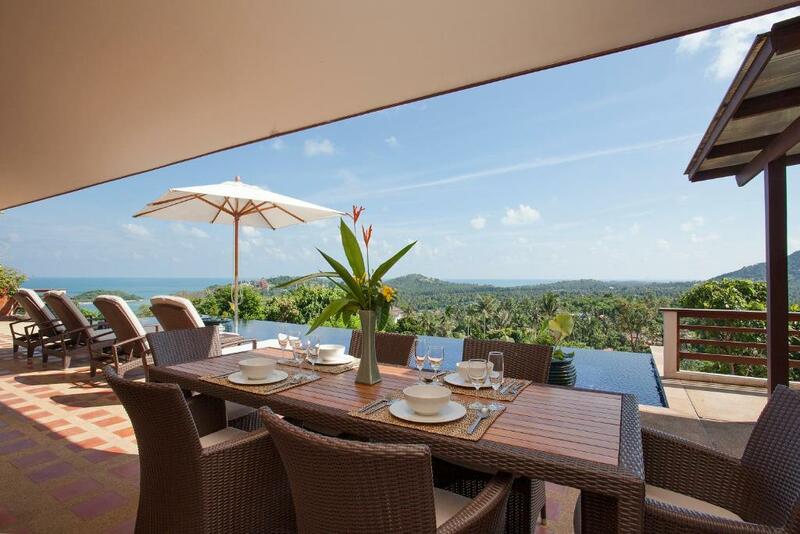 With panoramic views of the sea, this spacious villa features a private pool with sun loungers, a modern kitchen and a terrace. The 5 bedroom Cape Summitra Villa is proof that luxury tropical holiday homes can be stylish, contain every mod-con required, and yet be at one with its natural surroundings. 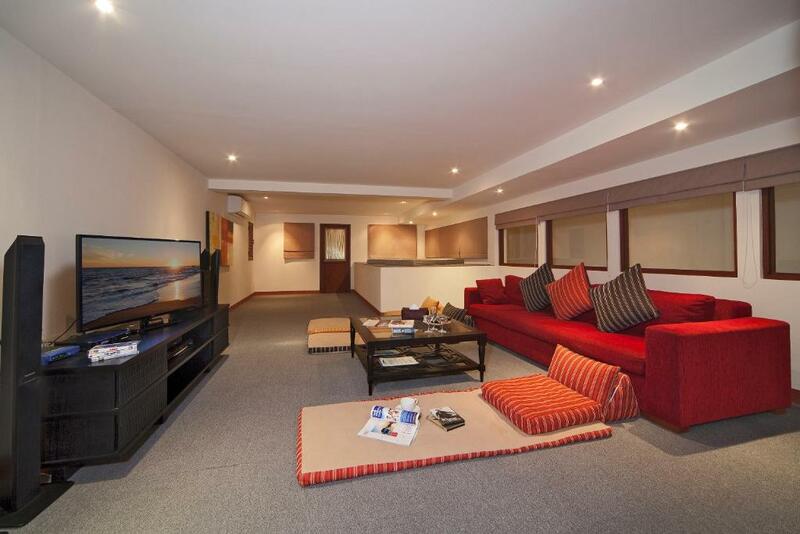 The planning and construction of this 3 storey villa is exemplary. 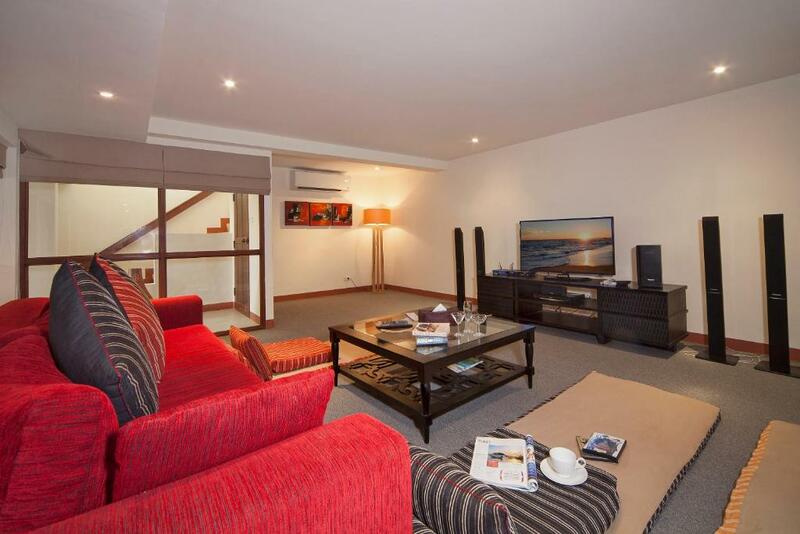 When you book to stay, your group will be the beneficiaries of this extremely well thought out, laid out, and laid back holiday home. 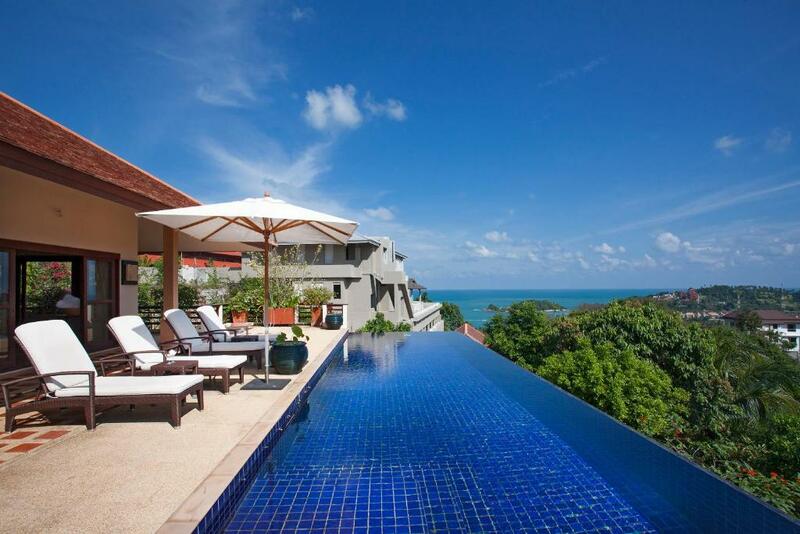 Perched on the hills above Choeng Mon beach the constant natural vistas of your tropical surroundings and the mesmerizing ocean will be a constant and welcome companion. House Rules Cape Summitra Villa takes special requests – add in the next step! A THB15000 damage deposit is required on arrival (around USD468.73). This deposit will be fully refunded at check-out, as long as there isn't any damage to the property. Cape Summitra Villa accepts these cards and reserves the right to temporarily hold an amount prior to arrival. 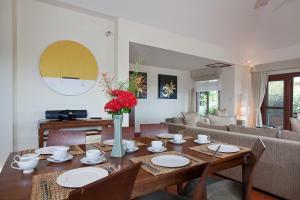 A security deposit of THB 15,000 is required upon arrival for incidentals. This deposit is fully refundable upon check-out and subject to a damage inspection of the accommodations or additional surcharges. The property will contact guest with further information. A damage deposit of THB 15000 is required on arrival. That's about 468.73USD. You should be reimbursed on check-out. We need at least 5 reviews before we can calculate a review score. If you book and review your stay, you can help Cape Summitra Villa meet this goal.